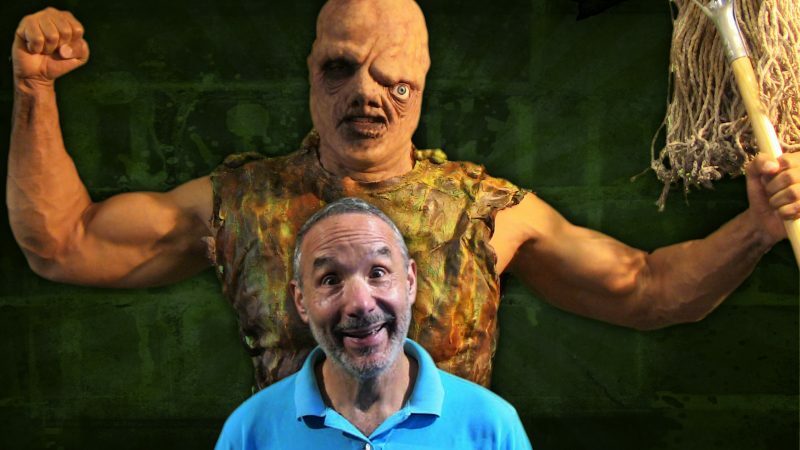 Co-founder of Troma Entertainment, Lloyd is a prolific producer, director, screenwriter, and actor and a favourite of cult movie fans worldwide. As a director, Lloyd became synonymous with The Toxic Avenger, but also brought us such classics as Tromeo and Juliet, Sgt. Kabukiman N.Y.P.D, Terror Firmer, and Poultrygeist: Night of the Chicken Dead. He also wrote a series of books (and films) aimed at low budget independent filmmakers: Make Your Own Damn Movie, Direct Your Own Damn Movie, and Produce Your Own Damn Movie! 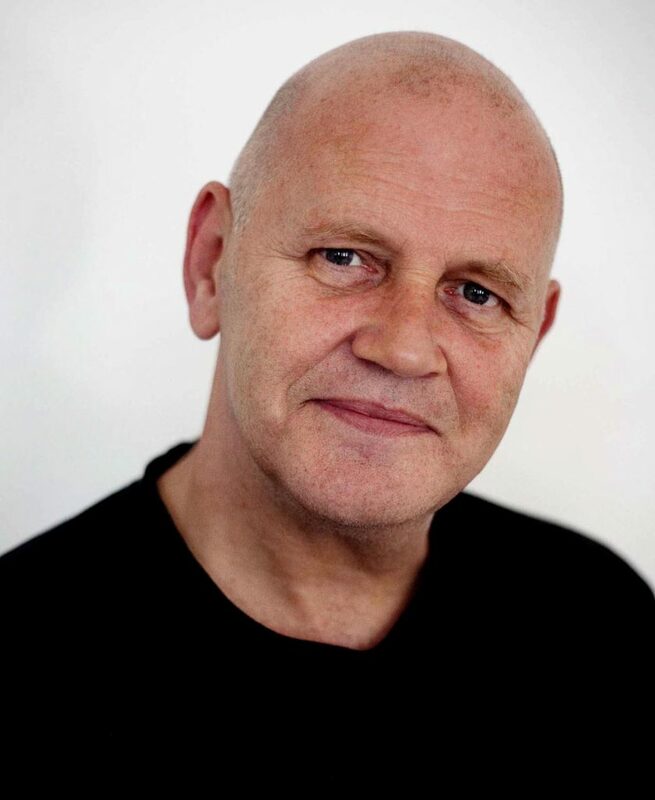 STARBURST is delighted to have Lloyd join us for the festival, where we will screen his latest movie Return to Return to Nuke ‘Em High aka Vol II as well as a sneak peek look at his next venture, Shakespeare’s Shitstorm. We’re also pleased to be able to award Lloyd the Hall of Fame Award at the end-of-festival STARBURST Fantasy Awards. A genuine titan of publishing, Dez Skinn is the reason we’re here. 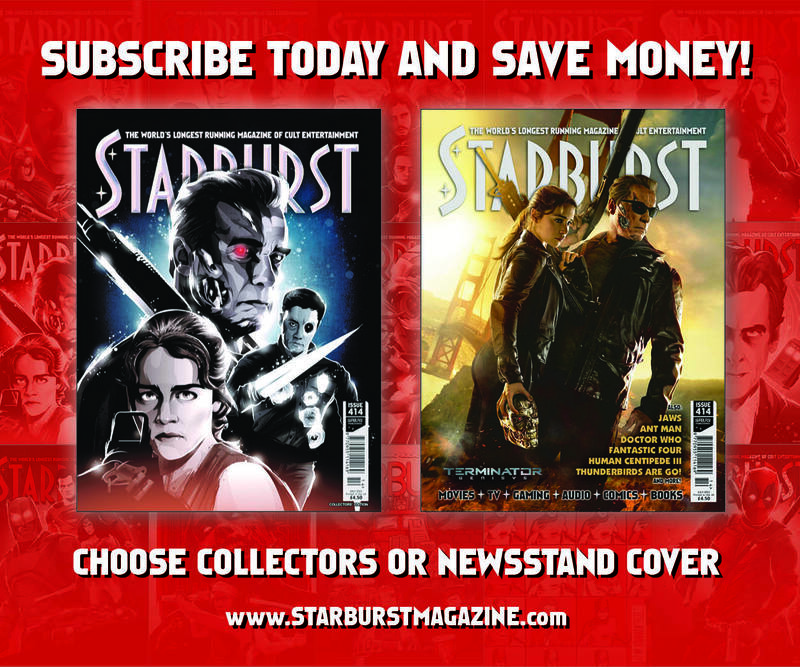 In 1977, he created STARBURST and went on to be head of Marvel UK, launching Doctor Who Weekly (now Monthly) – the longest-running TV tie-in magazine. 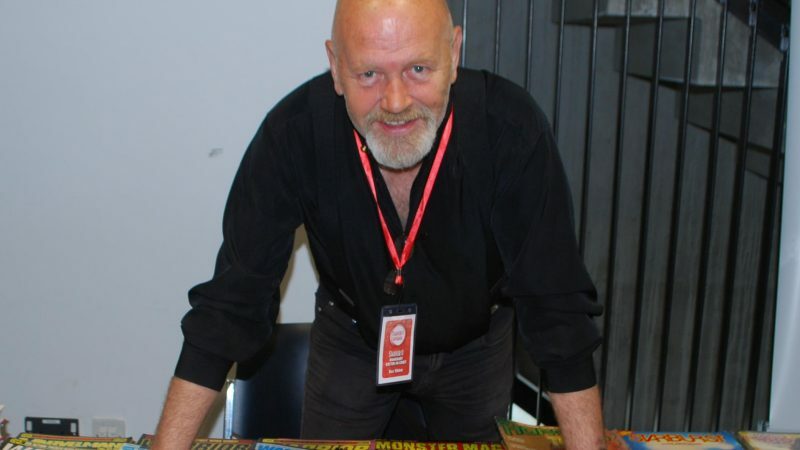 Whether it’s House of Hammer, MAD UK, Warrior, or Comics International, there’s a good chance if you’re of a certain age, you’ll have read Dez’s work. The multi-award-winning Warrior also introduced the ever-popular V for Vendetta. Dez is an ever-entertaining raconteur who we’re always pleased to welcome home. When young drug addict Juliet White dies, she doesn’t find herself in hell but somewhere far worse. Forced to relive the traumas and abuse of her days on earth, guided by a mysterious masked figure, Juliet must not only endure but find something new in her suffering. 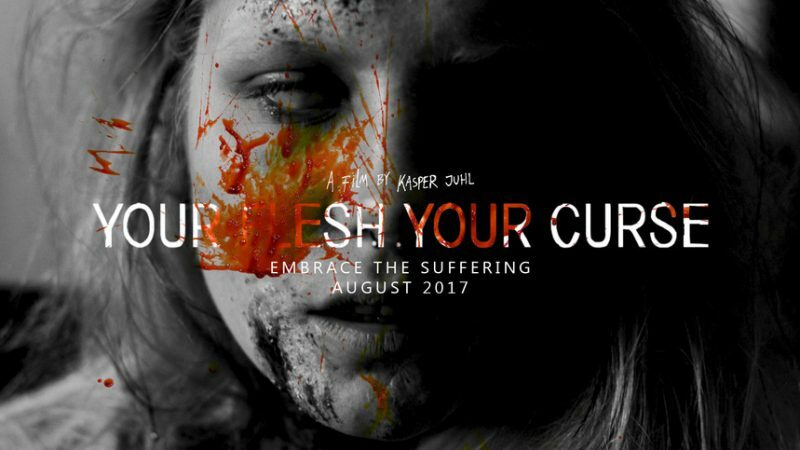 Visually stunning and superbly acted, Your Flesh, Your Curse is extreme horror with a strong arthouse flavour, a movie challenging and rewarding in equal measure. Film Gutter says: Having already made a huge splash with his previous offerings A God Without a Universe and Madness of Many, this talented young director has delivered his magnum opus with Your Flesh, Your Curse. This is everything I want in an extreme horror film – brutal and unflinching whilst still being beautiful, with an abstract style and a powerful message to boot. For me this was one of the very best films of 2017, calling to mind the work of another favourite name of mine, Lars Von Trier, and if you’re a fan of his work – particularly something like Antichrist – then this is a movie you’re sure to get something out of. In 2009, Marian Dora’s Melancholie Der Engel horrified and fascinated viewers in equal measure. 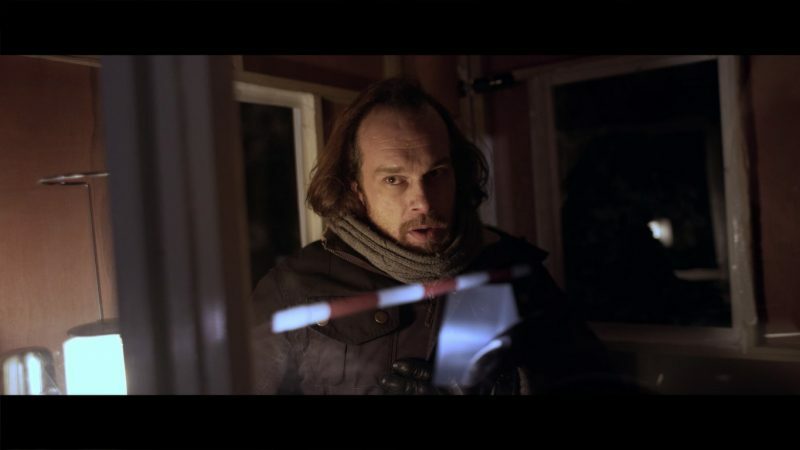 A perennial feature on ‘most disturbing film’ lists, this enigmatic and transgressive film from an infamous and reclusive director has carved out a place in extreme horror folklore. Revisiting Melancholie Der Engel is a unique documentary exploring this singular film, looking at the places, stories and processes behind its production. 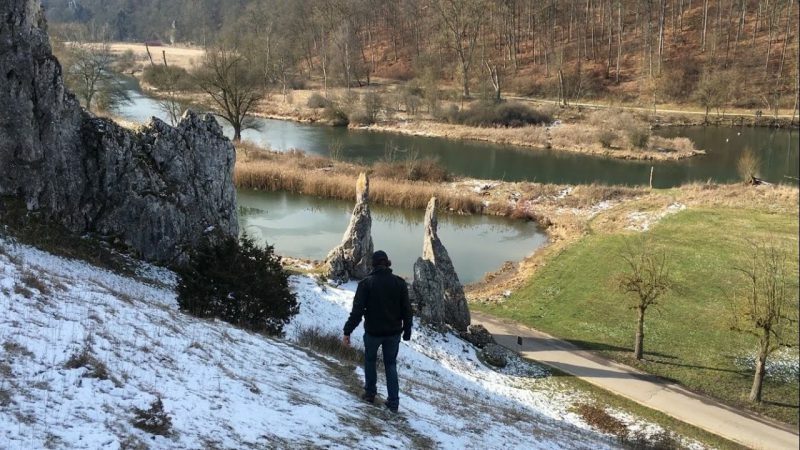 Film Gutter says: Anyone familiar with Melancholie Der Engel will know that is is a complex, dense piece of film-making that isn’t instantly easy to unpack – and that’s before we come to the more outlandish, shocking content featured with the movie. As such, Magnus Blomdahl’s Revisiting Melancholie Der Engel is a much-warranted deeper look at one of the most talked about features of all time, and a rare chance to hear more from Marian Dora himself – rarely interviewed and practically never seen in public – about his ideas and working process. It’ll also be a great complement to Melancholie itself, whether it’s a movie you’re already familiar with or not. Following on from the infamous Japanese Guinea Pig movies of the ‘80s, the American Guinea Pig series has brought a new range of exciting extreme horror into the modern era. 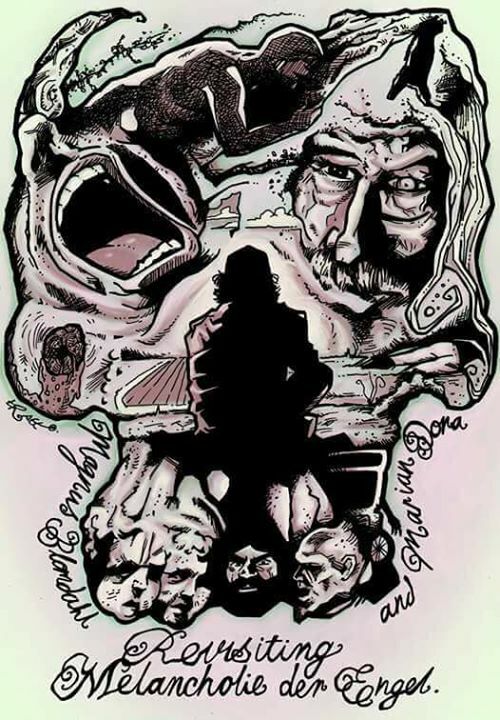 STARBURST MediaCity Festival is proud to present the UK premiere of the third entry in the series, Song of Solomon, an exorcism movie unlike any that has come before it. With a cast including cult icons Jessica Cameron and Jim Van Bebber, brace yourself for authentic exorcism rituals with 100% practical effects and lashings of gore. Film Gutter says: The second American Guinea Pig movie, Bloodshock, is a masterclass in modern extreme cinema, and I can’t wait to see what the series has to offer next. If you’re sick and tired of the lame Hollywood takes on the exorcism, Song of Solomon is going to be the perfect antidote. 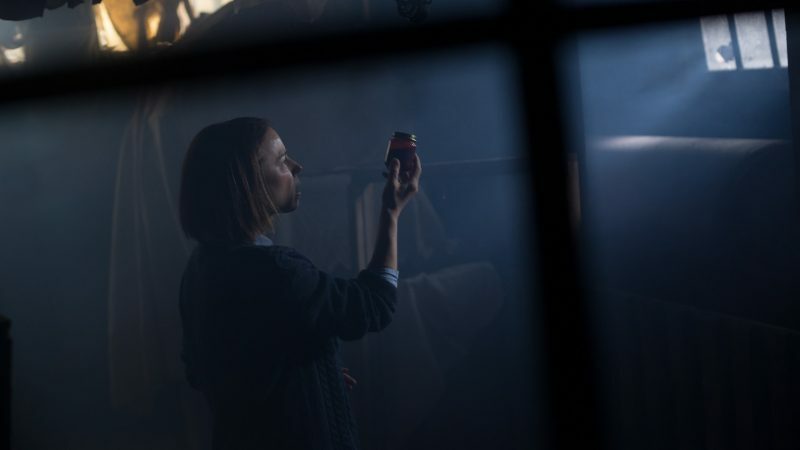 While the series as a whole has never shied away from visceral content – and there’s no exception here – that is always complemented with clever film-making and a great understanding of the horror audience. It’s a real privilege to be able to present this movie to a UK audience for the first time as well. INCLUDING Q+A WITH DIRECTOR JÖRG BUTTGEREIT! Transgressive, shocking and artistic, Nekromantik is a cinema experience not to be missed for any fan of extreme horror. Still banned in numerous counties, the movie was finally approved uncut by the BBFC in 2014 and is brought to you in all its glory today. 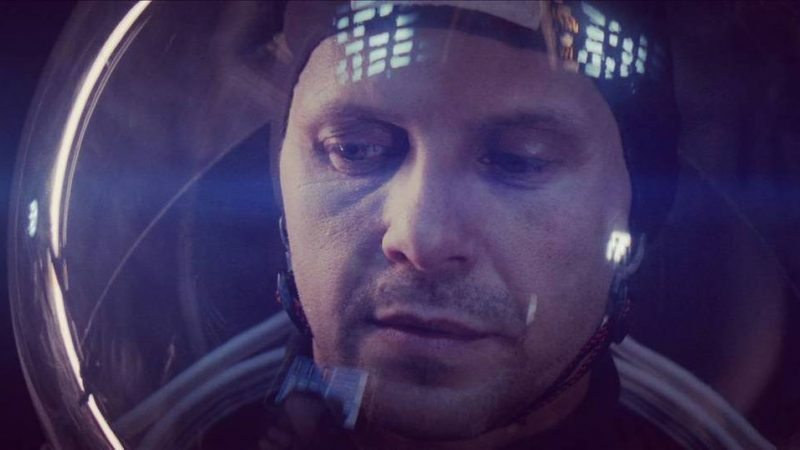 The movie will be preceded by a Q+A with director Jörg Buttgereit, in conversation with Film Gutter writer and reviewer Alex Davis. Film Gutter says: For all of its disturbing subject matter – and some truly shocking visuals – Nekromantik remains a strangely beautiful movie. 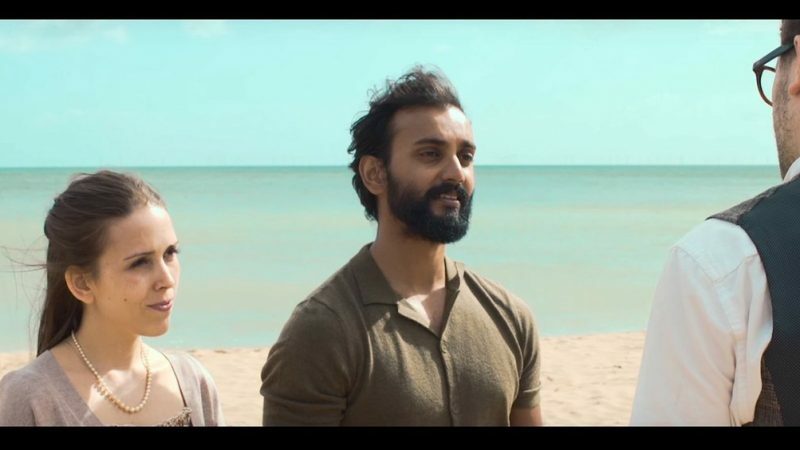 It’s a darkly hypnotic piece, and the title is perfect – there’s an unusual air of romance that sits alongside the necrophilia aspect of the film. It’s the kind of adventurous, dangerous, low-budget feature that was a hallmark of the era and it’ll be a pleasure to welcome Jorg to talk about the film – his output throughout the #80s and again more recently has been fascinating, and this one is an essential for any lover of cult horror. Director: Sam Saffold. Starring: Daniel J. Layton, Francesca Louise White, Cael King. A dead father and a secret house he never mentioned. Phillip moves out to the middle of nowhere in search of peace, but what he finds may be the end of him. A thoughtful, meaningful and atmospheric story with a surprisingly touching conclusion. Director: Martin Stocks. Starring: Andrew Shire, Suzanne Celensu, Abigail Poulton. 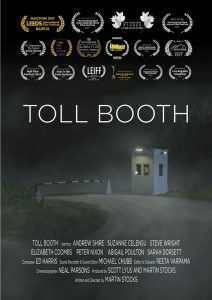 Terry starts working in an isolated toll booth on the Yorkshire moors, following his predecessor’s disappearance. His suspicions intensify throughout the night, finding out more disturbing details from the local odd-balls driving by. Exploring the foggy darkness, Terry makes a terrifying discovery. An eerie and atmospheric tale that will have you gripped. Directors: Scott Robson, Andrew Jaksch. Starring: Tom Farrah, Alexis Watt, Philip C. Claassen. 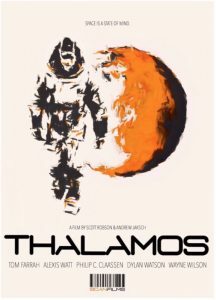 After a successful mission to the ZRS, a research station orbiting Mars, astronaut Commander Charlie Shaw finds himself alone on the red planet. In search of answers, he uncovers some disturbing truths about his situation. A stunning-looking sci-fi short with a retro feel and amazing effects. Director: Michael Melski. Starring: Suzanne Clement, Allan Hawco, Shelley Thompson, Geza Kovacs. An expectant couple’s intimate weekend turns to terror when they discover their secluded country inn is a haunted maternity home where unwanted infants and mothers were murdered. 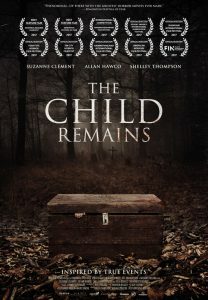 Inspired by the true story of the infamous ‘Butterbox Babies’, The Child Remains is a twisting supernatural thriller that emphasises story and suspense over shock and gore. 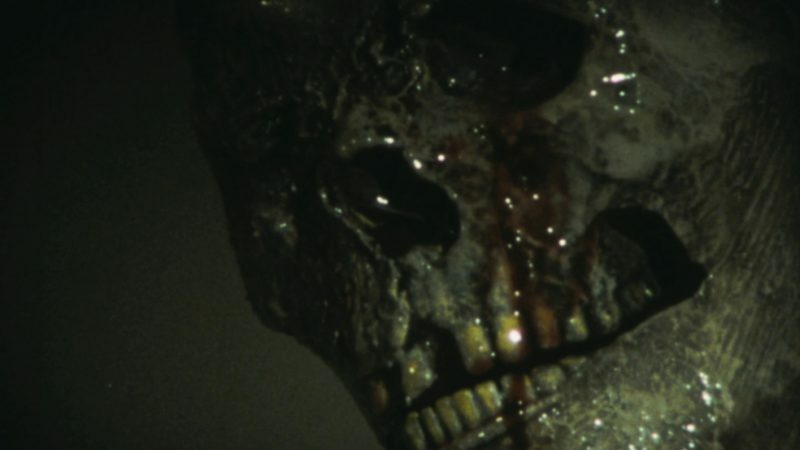 From the producer of the acclaimed horror thriller The Corridor, starring Cannes Best Actress winner Suzanne Clement (Mommy), Allan Hawco (Frontier), Shelley Thompson (Labyrinth) and genre hero Geza Kovacs (Scanners, The Dead Zone), The Child Remains is about the evil that lurks behind the postcard. An engrossing and atmospheric chiller that will have you on the edge of your seat.